Let’s face the truth – if you are new to the vaping world, it is not quite easy to find the best vaping starter kit for a beginner. There is a plethora of vape setups available, and it might be difficult to pick something that would allow you to chase some clouds right away without worrying much about things like the Ohm’s Law or complicated temperature control settings. To make your life a bit easier, we decided to mention our top picks for the best vape pen and pens for beginners. No confusing numbers here just the best setups for you to choose from. Read on, and we hope that you will find the right kit to satisfy your vaping needs. This is absolutely one of the best starter kits currently available on the market. It has an excellent ‘price to power ratio’, if we may say so. The improved 2600mAh battery fires the iJust 2 tank up effortlessly and without any hesitation, providing you with some massive amounts of clouds. The tank holds 5.5ml of e-juice, and we have never had any leaking issues with it. Charging is also a very straightforward and beginner-friendly process here, and while there are definitely no bells and whistles in this kit, it is definitely worth to take a look at when trying to pick your first vaping setup. After all, it is very inexpensive. Dirt cheap, actually. A great setup for the aspiring vaper. It features a fixed battery with a capacity of 2300mAh and effortless charging. This one is also a pretty straightforward device fill up the tank, click the fire button 5 times, and vape on! Yes, it does have a temperature control mode as well, but there is only one setting which simply keeps the coil from reaching excessive temperatures, so nothing complicated here. The tank, called Kanger TOPTANK Mini, holds 4ml of e-liquid, which is plenty for a beginner and should last you at least for the whole day. The Joyetech eGo AIO is a starter setup with a very attractive price tag. For less than $20, you get a kit with a 1500mAh battery and some pretty stunning design. With the coils included, it fires from 15 up to 28W (depending on the battery charge state), but has no power adjustment options. Battery is fixed, and charging it will be a breeze; the entire device is very convenient to use and has multiple safety features. The tank features ‘anti-leak’ design and holds 2ml of e-liquid. The latter might be the only major drawback of this kit, as it might not be enough for the most active cloud chasers. Apart from that, the eGo AIO kit is a great bang for your buck. Another excellent beginner starter kit from Joyetech which has already stood the test of time as a reliable and straightforward setup. The tank has a 4ml e-liquid capacity, comes with three different atomizer heads, and provides plenty of vapor for the beginner cloud chaser to enjoy. The in-built 2300mAh battery will most likely last you through the day and then some. And to make things a little bit more interesting, it also features a beginner-friendly temperature control system we promise, after a quick glance in the included manual you will be able to bring it to life in no time. The price is a little bit on the steep side, but then again it offers plenty of features without getting too complicated, and that’s truly a great thing! Although not the newest product in the market, the Endura T18 Starter Kit from Innokin is a tried-and-true, low-priced product, perfectly suited for the aspiring vaper. The Prism T18 tank holds 2.5ml of e-liquid, and the fixed battery fires it at 14W. 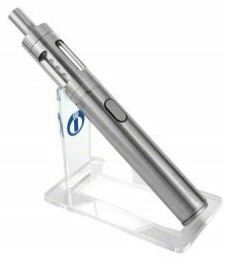 That is more than enough for mouth-to-lung (‘cigarette style’) draws, therefore this kit is a great choice for someone who is looking to switch from smoking to vaping, but don’t expect it to be your personal cloud machine. All in all, the Endura T18 is a reasonable starter kit, but it might not be the first choice when it comes to vapor production. Nevertheless, it features a sleek design and all the basic functions to enjoy your first steps into the vaping scene. And hey, there’s also a vape stand included! The high-end products from SmokTech have always been quite impressive, and now this brand has geared towards beginner vapers as well. The Stick One Basic Starter Kit comes with a fixed 2200mAh battery and a simply excellent tank, the Micro TFV4. It may not hold much e-juice, but the tank performs just beautifully, especially when it comes to vapor production, in fact, it might impress even a more experienced vaper. The tank and the mod come together in a simple yet elegant design, and overall, it is an easy-to-use and reliable device, no leaking, no confusing settings, no unpleasant surprises. Last but not least, this kit is indeed highly popular among new vapers! Another great, friendly priced product from Aspire that offers outstanding vaping performance. In this kit, you get a built-in 2000mAh battery (Aspire K4) and the widely praised Cleito tank, which holds 3.5ml of e-liquid, features a revolutionary coil design, and gives plenty of vapor and rich flavor for you to enjoy. Charging, filling, changing the coils, everything is very straightforward here. 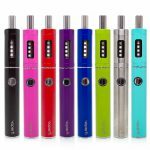 Aspire certainly know what they are doing, and this starter kit is no exception: nothing redundant here, just the basics, but if that’s what you’re looking for, you certainly won’t be disappointed. With new vapers in mind, VaporFi has brought customization to a whole new level with the Pro 3 Vape Starter Kit. The Pro 3 Kit delivers a traditional experience with mouth-to-lung technology, while still making ease-of-use and convenience a focal point. Truly express yourself with this starter kit that includes the 1000mAh Pro 3 battery, Pro 3 Tank, two 2.0 ohm atomizers, USB charging cable, a 4-pack of o-rings, and a detailed instruction manual so that your experience is a breeze from the start! Click here and Get Pro 3 with 10% OFF! We hope that this article will help you find your first vaping starter kit! If you are new to vaping, here’s a must for you to read: Beginner Vaping Tips.